Choosing the right necklace length is a personal preference. Choose what will feel comfortable for you. 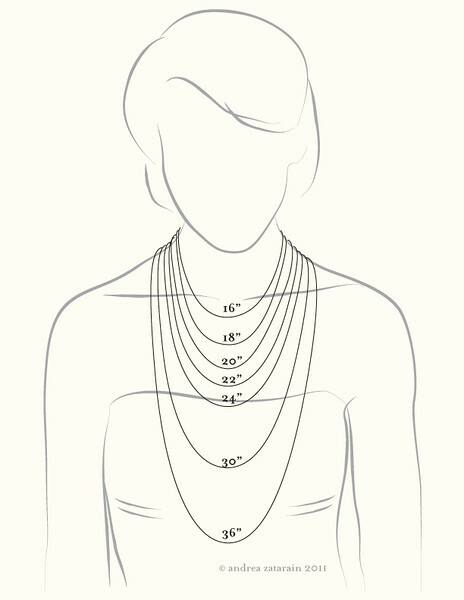 If choosing a necklace that has a set shape like a wire necklace, keep it on the short side. If you are not sure which length you would prefer, in many cases I can add the option of wearing a chain at two or more lengths depending on the design.